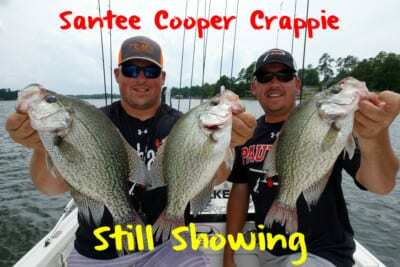 Fall is one of the best seasons to fish for crappie at Lake Blackshear. 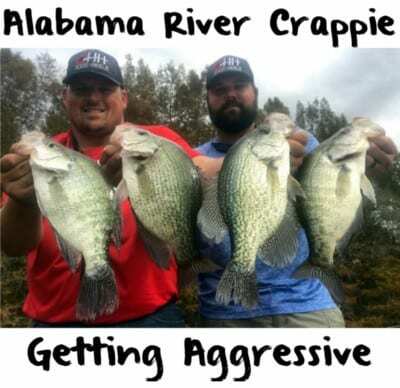 Crowds are down, the fish are getting bigger, crappie are structure oriented and the bite is exploding. 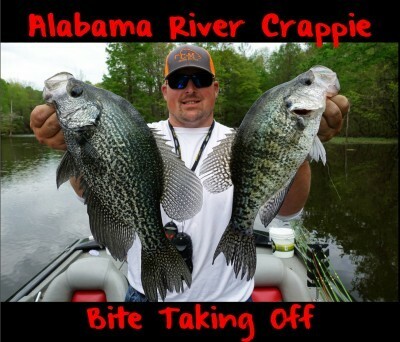 There is some giant crappie being caught right now. When I say giants I’m referring 1.25 to 1.75 pound fish. October and November is usually lights out and I expect this year to be no different. The cooling water has put the crappie back in a biting mood. A good day fishing this time of year would be a limit before lunch. At Blackshear a limit is 30 per angler. While there are bigger ones most of the fish are running about a pound to a pound-and-quarter, which is a quality crappie in Georgia. Fall fishing is structure oriented. Fortunately, Blackshear is loaded with structure. There are ledges, bridge piles, standing timber, man made structure and plenty of other structure. 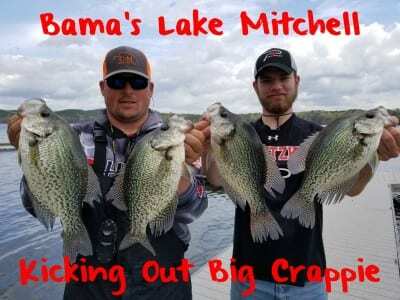 It’s the perfect lake for structure fishing and during the fall that’s where you are going to find the crappie. It varies as to how deep they’ll be. We are catching fish from 10 to 25 feet of water. There’s a simple rule to follow this time of year; if there’s a piece of structure the crappie are in it now. This pattern will continue through the end of November. By that time we will transition to our winter pattern. When that happens algae on the brush starts dying and the baitfish will leave leave that structure and become suspended in deep water. The crappie also leave the structure and follow them. Time of day doesn’t matter this time of year. It’s a minnow bite right now. To catch crappie stick a minnow in the thickest brush you can find. To make them stand out better I’m dying my minnows chartreuse with Chartreuse Fire Dye, putting them on a No. 2 Eagle Claw light wire hook and fishing them on 10-pound Stren. It’s as simple as that. *Pautzke Fire Dye is available online from many retailers and also at www.pautzke.com. 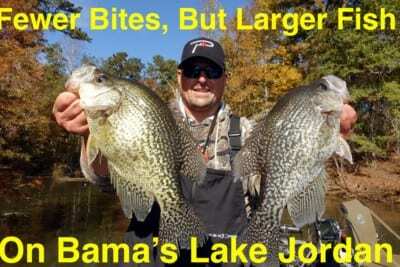 Editor’s Note: Scott Williams is professional crappie angler who lives in Georgia. To learn more about him please visit Team Williams Fishing at https://www.facebook.com/Team-Williams-Fishing-491917507663215.